Dentistry in the last 15 years has experienced nothing short of a revolution in terms of technology, materials, and restorative options. 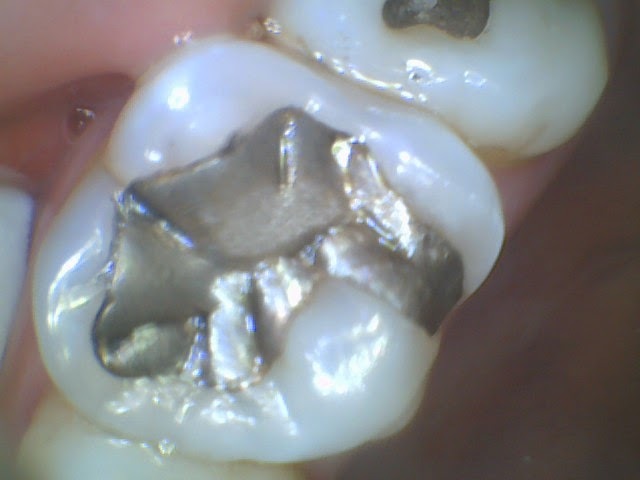 Some of it is not apparent to the patient, such as technologies used in the dental lab and bonding agents and materials that are much stronger. What this has allowed, however, is for us to be able to be much more conservative in many situations. Even more surprising to me was when a crown was needed. Posterior teeth have multiple cusps (peaks on the teeth that are used for chewing). 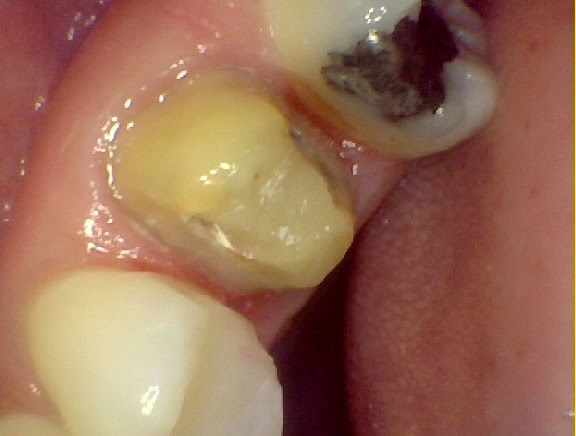 When one breaks, a filling is no longer a good option as it will not be strong enough to support the tooth. 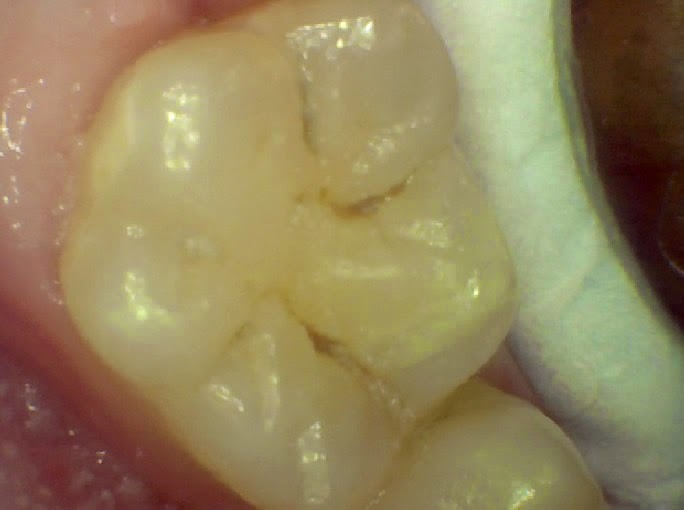 So even when only one cusp would break on a molar tooth (which generally has four cusps), the whole tooth would need to be trimmed down for a crown, if an esthetic option was desired. Of course, a conservative gold option has always been available but most people want something more cosmetic. 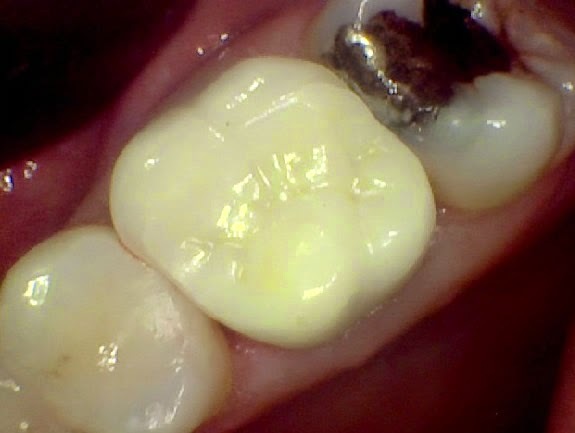 A full crown often would seem to me to be too aggressive, especially when only a small part of the tooth would be broken. More tooth removal leads to greater risk of root canals or other dental problems. But until fairly recently, we had no other good esthetic options. Now we do, with partial crowns, porcelain onlays, and veneers. These rely a lot more on bonding than mechanical retention. 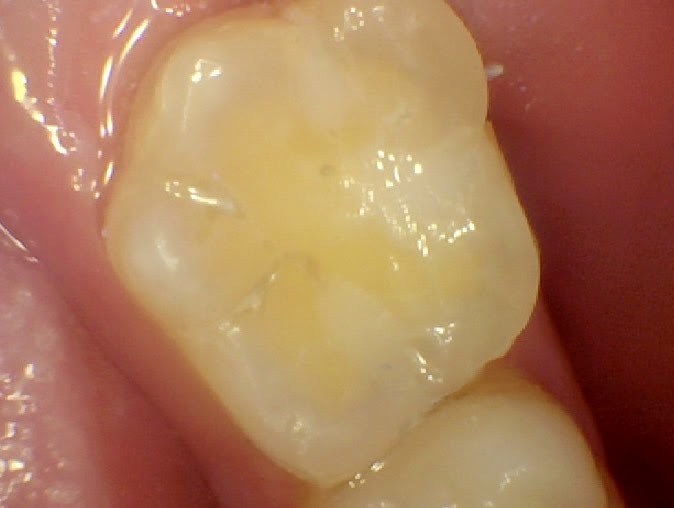 But with newer, stronger materials and better bonding systems we can preserve a lot more of the tooth than we could before. 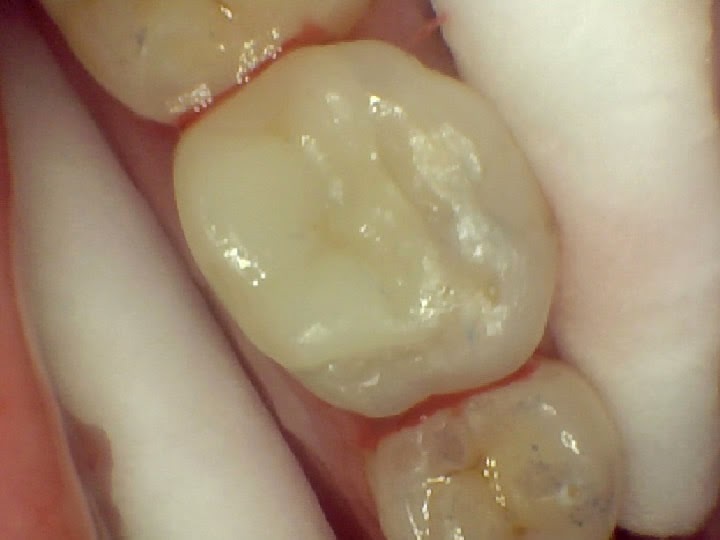 The photos above and below compare a full crown with a porcelain onlay (which only replaces the missing, broken or decayed portion of the tooth). Another area that allows us to be more conservative is the use of dental implants when a tooth is lost. I wrote a blog about this a while back (Implants: The Game Changer In Dentistry). If a tooth is lost, an implant can be used to replace it and this remains a one tooth problem. A bridge is also an option but it involves grinding down adjacent teeth and takes a one tooth problem and makes it a three tooth problem. When adjacent teeth are involved and are trimmed down, they now become more at risk for other dental problems. A bridge is definitely not a conservative option and I rarely recommend it over an implant. 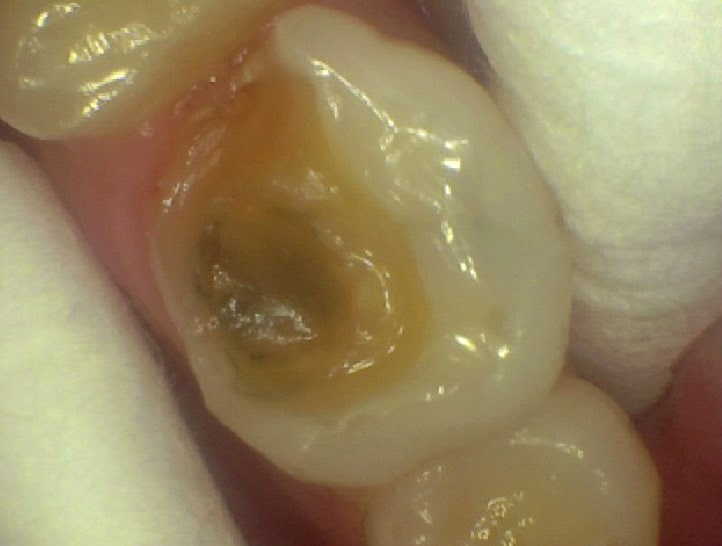 Sometimes being aggressive with a treatment is needed, such as when more tooth structure needs to be removed for esthetic reasons or bonding is not possible in an area of the mouth. But in most cases, it is best for the patient when we try to be conservative. Thanks to the advances in dentistry, this is now something we can achieve. Thank you Dr. Janis for a really interesting article! I really appreciate your approach to dentistry. With you I can fully trust that you're going to offer me the best options and educate me in the process! Plus, I love your office and your team is so caring and considerate.